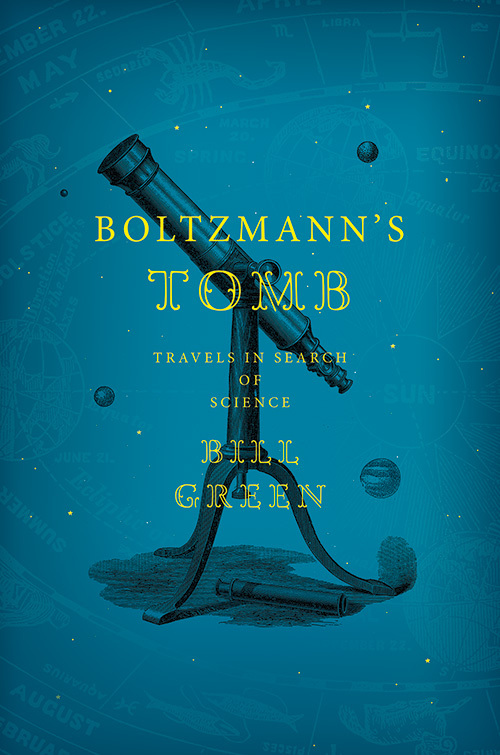 From Cambridge, England to Oxford, Ohio, Vienna to Antarctica, Bill Green takes us on a globe-spanning pilgrimage to important sites of scientific discovery and along the way relates the captivating stories of the scientists who lived and worked there. As in his award-winning Water, Ice & Stone, Green interweaves the story of his own lifelong evolution as a scientist with a travelogue that is a personal and universal history of science. With cautionary notes that echo Elizabeth Kolbert’s Field Notes from a Catastrophe, this book—like Richard Holmes’ The Age of Wonder—serves as a marvelous introduction to the great figures of science. Along with lyrical meditations on the tragic life of Galileo, the mystical Johannes Kepler, the wildly eccentric Tycho Brahe, and the universal vision of Sir Isaac Newton, Green’s ruminations return throughout to the lesser-known figure of Ludwig Boltzmann. 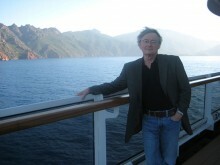 Using Boltzmann’s theories of randomness and entropy in the microscopic world as a larger metaphor for the unpredictable paths that our lives take, Green shows us that science, like art, is a lived adventure, the remnants of which are left in the form of a painting or a poem, or sometimes as an equation etched in stone. The town of Duino lies near Trieste on the northeast coast of the Adriatic. In the early part of the last century it was a favorite summer destination for landlocked Austrians who needed a touch of the sea. In late August of 1906, Boltzmann and his family left Vienna to spend a little time there. The decision to go seems to have been Henriette’s, since Ludwig had agreed to teach at the University that fall and had felt the need to prepare lectures. Always there was that need, that nervousness, the deepening neurasthenia, perhaps. Even there amidst the high cliff, with its castle, where once Rilke had gone to write the Duino Elegies in the damp stone rooms of the Princess Maria von Thurn-and-Taxis, there seemed to be no peace. And with him came that constant companion, that sense of failure, the recognition that maybe, as his great adversary Ernst Mach had said toward the end, he was the last pillar standing, the last who believed that behind the cliff and the castle and the air that he breathed were the unseen molecules and atoms he had argued for all his life. At least there were some who believed that this sense of rejection is why he had done it, though not Meitner, who professed never to have understood, though she thought it might have been the depression, the “black dog” that had come to visit. It was near the end of my first year, a lovely spring morning in Indiana. Rita and I were having breakfast at Curley’s place and we were expecting Simsohn and Buckley to join us later for coffee. I had not yet found a project for my dissertation and was not even close. Rita told me she had enjoyed all of her science courses and was beginning to think she might even want to do research someday in physics or chemistry. Looking at her that morning she reminded me a little of the young Lise Meitner. I told her what I had been learning about Boltzmann’s life and how I had come to see the creativity that lay behind his works. But also the struggles and doubts that had tortured him and, ultimately, the darkness that had forced his hand in Duino. He seemed to me now almost a martyr to truth, a secular saint. Rita remarked how odd it sounded to her, especially after a year of chemistry, where atoms and molecules were treated as the furniture of the world, the tables and chairs of reality, that people in 1906 – a mere 58 years before our conversation – doubted the existence of atoms, mocked them in fact in prestigious gatherings, and considered Boltzmann a throwback to an earlier age. I could not have agreed with her more. It was impossible to believe that atoms did not exist. Die blind, his heart blackening. Buckley had made some progress in the search for a project, but he seemed more interested in what had happened at Duino. And I told him not really. Since Buckley had a poem for all occasions, I was sure, that in some way, possibly obscure to all but Buckley, they did. “Please, Professor Buckley, tell us,” Rita laughed, glancing up at Curley who was smiling and pouring her a third cup of coffee. And Buckley recited some lines from the first of Rilke’s Duino Elegies, begun, also, in the midst of Rilke’s terrible depression. We all looked at each other, a little perplexed. But the lines sounded right to me. Though I told Buckley I would have to give them much thought. So the morning ended, the cash register rang the way they did back then and from behind the counter Curley gave us his usual wave and his bright smile and thanked us for coming.